Atomic clocks have long been the most accurate timekeeping devices known to physics, but thanks to research carried out in recent years, it looks like their reign could soon be over. 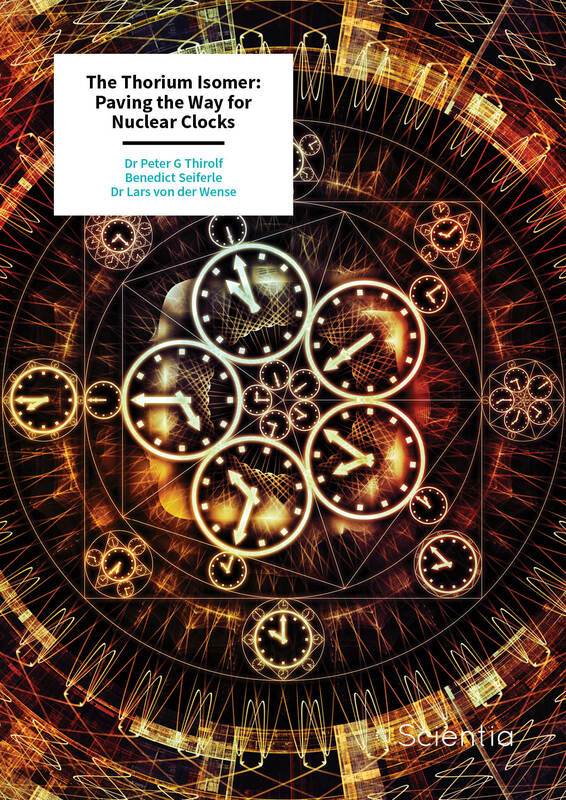 As part of the European consortium ‘nuClock’ (nuclock.eu), Dr Peter Thirolf, Dr Lars von der Wense and Benedict Seiferle at Ludwig-Maximilians University Munich are working towards building the fabled, even more precise nuclear clock, through investigating the nucleus of Thorium-229. If their clock is realised, the researchers’ work could soon see strides towards applications ranging from ultra-precise GPS, to new, rigorous tests of the most fundamental constants of physics. From grandfather clocks to digital watches, the timekeeping devices we all rely on are united by a need to accurately measure the frequency of an oscillating system known as a ‘frequency standard’. While more traditional grandfather clocks, for example, keep track of time by continually measuring the frequency of a swinging pendulum, conventional digital watches do so by measuring the regular pulse of a quartz crystal with an electrical current passing through it. However, as any physicist will tell you, it is impossible for any measurement device to be completely accurate. Over time, even the slightest errors in a clock’s frequency standard will stack up, making the device increasingly unreliable – a serious issue for physicists carrying out meticulously precise experiments. In the 1930s, US physicist Isidor Isaac Rabi proposed a frequency standard that would make inaccurate clocks a problem of the past. Named the ‘atomic clock’, Rabi’s device operated by measuring the frequencies of microwave signals emitted by the electrons of atoms as they jumped between different orbits, or ‘energy levels’. 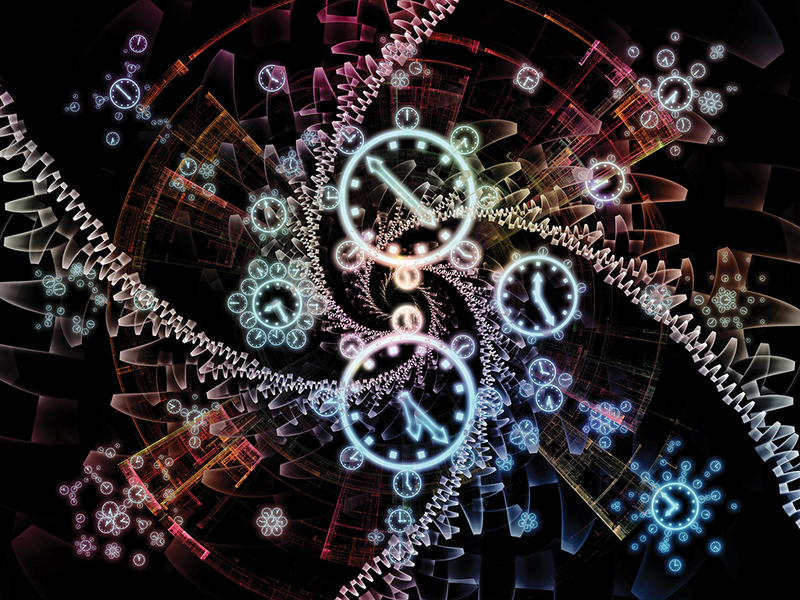 With modern versions of atomic clocks, physicists can now measure time within an error of just one second every 30 billion years, far more than the age of the Universe. However, there are applications involving time measurements where even this barely perceptible margin of error is not small enough. These transitions between nuclear energy levels are analogous to those between electron energy levels. They may also stay for a period of time in a specific energy level before this so-called ‘isomer’ will relax back into the lowest energy level of the nucleus (the ground state). The nucleus of an atom is 10000–100000 times smaller than the atom itself and is thus less prone to external perturbations. Together, these properties mean that the margins of error of the frequencies given off by nuclei during a transition can be lower than those of an electron transition, making nuclear transitions a potentially even more accurate frequency standard for timekeeping devices. So, with such clear advantages, it might come as a surprise that not a single nuclear clock has yet been built. At the heart of the issue is the fact that compared with atomic electrons, it is far more difficult to force nuclei into higher (or ‘excited’) energy levels artificially. This is because the excited energy levels of nuclei typically have far higher energies than those of electrons. Electrons can be ‘excited’ into higher energy levels by shining laser light of particular energies on them. However, even today’s most cutting-edge narrow-bandwidth laser technology cannot create light with energies high enough to force transitions to typical nuclear energy levels, which means that practically all presently known nuclear energy levels are currently out of reach. However, there is a unique exception. There is only one known nuclear energy level that could serve as a nuclear clock using currently available technology, namely, the first excited level of Thorium-229, with a predicted lifetime of a few thousand seconds. This excited energy level of Thorium-229 is often called the thorium isomer. Consisting of 90 protons and 139 neutrons, the thorium isomer is ideally suited to serve as an ultra-precise and stable nuclear frequency standard, due to its long lifetime and the low energy required to access this energy level (called the ‘excitation energy’). Having predicted these properties through decades of theoretical studies, many physicists have attempted to observe direct transitions between the thorium isomer and the ground state of Thorium-229. However, despite several decades of research, none have been able to do it. The previous inability of researchers to observe the thorium isomer directly is not for a lack of trying. In fact, for 40 years, nuclear physicists have tried to identify and characterise the elusive transition from the thorium isomer down to the lowest energy level of thorium-229. Until recently, evidence for the thorium isomer’s existence could only be inferred from indirect measurements, which suggested an extraordinarily low excitation energy of 7.8±0.5 electronvolts. Thus, the thorium isomer represents the lowest nuclear excited level reported so far. Electronvolts are a commonly-used unit in nuclear physics, describing the amount of energy gained by an electron after moving across an electric potential difference of one volt. In comparison to the thorium isomer’s excitation energy of 7.8±0.5 electronvolts, most nuclei require millions of electronvolts to force them into higher energy levels, making the thorium isomer an extremely enticing prospect to physicists. Dr Thirolf and his colleagues, Dr Lars von der Wense and Benedict Seiferle, embarked on a mission to overcome the difficulties faced by physicists in the past to detect the transition experimentally for the first time. In a 2016 study, the LMU team, together with colleagues from Mainz and Darmstadt, achieved the first ever experimental detection of a direct transition between the thorium isomer and the ground state of Thorium-229. Building upon decades of previous work, the team achieved this through observing a specific decay signature. Completing a search by nuclear physicists that was conducted worldwide for about 40 years, they recently succeeded in realising the first direct detection of this nuclear energy level through its decay via a transfer of the thorium isomer’s nuclear excitation energy to an electron. This electron is then expelled from the thorium atom and detected. Having observed this transition for the first time, the physicists could now explore it in more detail. 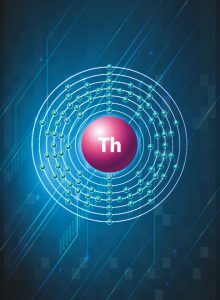 Since the nucleus of Thorium-229 is unstable, one of the first properties they looked at was the time it takes for half of the thorium isomers in a system to relax back into the ground state. This property is known as the ‘half-life’. The initial work laid the foundation for precise studies of the thorium isomer’s decay parameters and subsequently, the first measurement of the half-life of the neutral isomer was achieved. 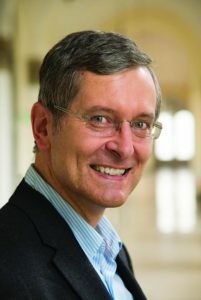 After these studies, the unique splitting of energy levels found in the thorium isomer was explored, known as its ‘hyperfine structure’. Soon after, in collaboration with laser experts from the German National Metrology Institute and colleagues from Mainz, collinear laser spectroscopy was applied to the team’s experimental setup to obtain the hyperfine structure of the thorium isomer, which provided detailed information about nuclear properties. 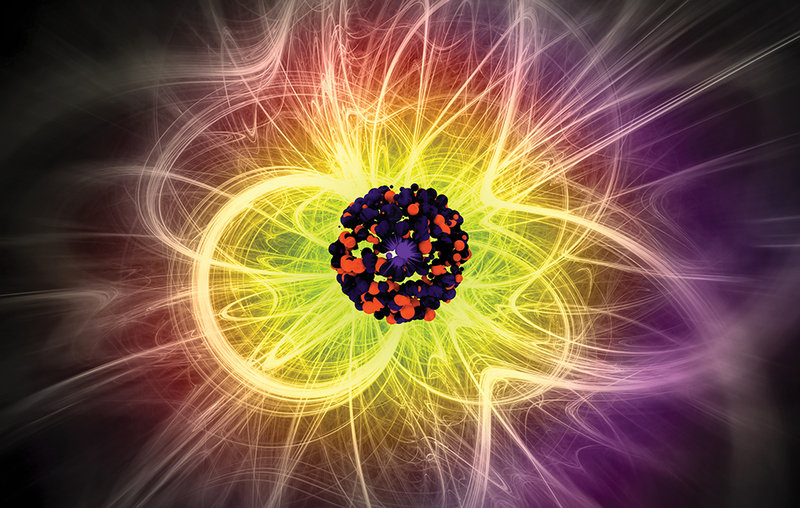 Having experimentally observed the thorium isomer for the first time, and after exploring its properties in detail, the physicists are now ready to work towards their ultimate goal: the nuclear clock. The numerous recent discoveries around the thorium isomer have made precise, ultra-stable nuclear clocks look like a real possibility in the near future. Significant insight into the properties of the thorium isomer’s elusive nuclear energy level have been achieved in the last few years, paving the way towards laser-based control of the thorium isomer. Thus, the ultimate goal of developing an ultra-precise nuclear frequency standard, the nuclear clock, could be realised. If so, this new degree of precision would reduce uncertainties in timekeeping devices to miniscule levels. In addition, fundamental physical constants could soon be subjected to the most rigorous tests ever performed on them. A nuclear clock promises a lot of intriguing applications in applied as well as fundamental areas of physics, ranging from an improved precision of satellite-based navigational systems (such as GPS) and seismology (monitoring seismic activity with high precision using a nuclear clock as a gravity sensor) to investigating possible time variations of fundamental physical constants. In the next few years, physicists will work towards making the first ever nuclear clock a reality. Dr Peter Thirolf obtained his PhD from the University of Heidelberg in 1992. After postdoctoral research at the Max-Planck-Institute for Nuclear Physics in Heidelberg and the National Superconductor Cyclotron Laboratory at Michigan State University in the USA, he joined Ludwig-Maximilians-University Munich, where he became lecturer after his habilitation in 2004. 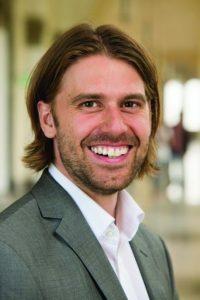 Dr Thirolf’s research interests include investigating the structure of exotic nuclei, instrumentation for medical physics applications, nuclear mass spectrometry, laser ion acceleration and fundamental physics. Benedict Seiferle studied Physics at Ludwig-Maximilians-University Munich where he earned his master’s degree focusing on the direct detection of the Th-229 isomer. At present, Seiferle is working on his PhD thesis, which aims for a direct and precise characterisation of the properties of Th-229m. During his work he already succeeded in measuring the isomer’s lifetime and is currently proceeding towards a direct measurement of the excitation energy. Lars von der Wense received his scientific education in physics and mathematics at the University of Hamburg. He earned his diploma in physics with a topic in string theory before moving to the University of Cambridge, UK, for a Master’s course in Applied Mathematics. 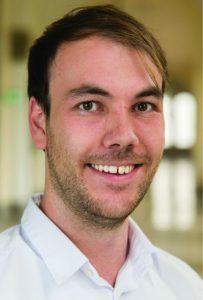 For his PhD thesis he changed fields to experimental physics and has been working on the Thorium-229 project at Ludwig-Maximilians-University Munich since 2011. He received his PhD in 2017 for the first direct detection of 229mTh. This result was elected by the editors of Physics World as one of the Top 10 Physics Breakthroughs of 2016. Currently he is continuing his research on Thorium-229 as a postdoctoral researcher.